The euro has been moving in lockstep with the pound for months amid a dominant strong-dollar theme. That may be about to change. This summer may see the greenback’s influence wane on the euro-sterling pair, which could start responding more to UK economic trends and the Bank of England. Better data that boosts the odds of tighter monetary policy will add support for the pound – and that would erode the correlation with its euro-area counterpart even if the British currency fails to strengthen past the key 87 pence per euro mark. Money markets now see a probability of more than 70pc that the central bank will raise interest rates in August. 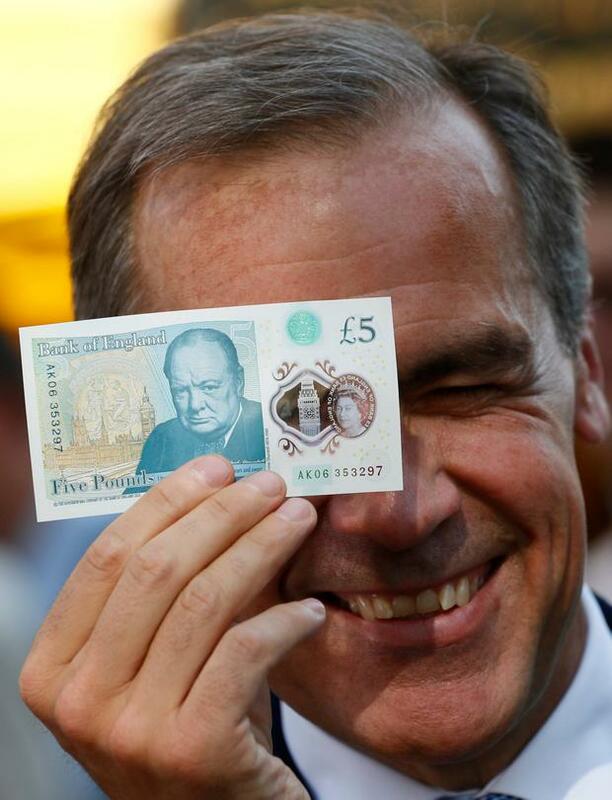 And, should Governor Mark Carney sound upbeat about the UK economy, that would trigger a hawkish repricing of the 2019 rates outlook – an additional boost for sterling bulls. The common currency has been largely confined to a 0.87-0.89 pence range since the start of the second quarter as the European Central Bank and the BoE adopted a balanced approach toward policy normalisation while the Federal Reserve pushed ahead with its hawkish bias. While we may see more action on the UK policy front in the coming weeks, the Fed and the ECB aren’t expected to change their language till summer end. The BoE’s Mr Carney and deputy governor Jon Cunliffe will speak before the UK Treasury Committee about the Financial Stability Report on July 17, before the publication of employment, inflation and retail-sales reports for June. The most recent data have mostly backed bets for a rate increase in 2018 and this week’s releases could push the market to fully price in a hike, should policymakers keep a positive economic outlook. While Brexit uncertainty will remain a concern, summer recesses in parliaments means no clear picture on the endgame will likely emerge anytime soon. Last Thursday, the UK released its white paper on its vision of the nation’s future relationship with the European Union. Trade-war concerns may also stay in the background, as Beijing and Washington may resume talks before additional tariffs of $200bn on Chinese products take effect on August 30. Independent.ie Business Desk US president Donald Trump has said he is willing to hit all goods imported from China with tariffs, sending US markets sliding before the opening bell. Independent.ie Business Desk A major cyberattack on Singapore’s government health database stole the personal information of about 1.5 million people, including Prime Minister Lee Hsien Loong, the government said on Friday.